Hibernian defender Darren McCormack has been arrested and charged over an alleged driving offence that took place early on Sunday morning. The Scottish Premier League club have refused to comment. "A 21-year-old man has been arrested and charged in connection with driving without insurance and driving without a licence," said a police statement. "He has been released on on undertaking to appear at Edinburgh Sheriff Court at a later date." Lothian and Borders Police said that McCormack had been stopped by police on Leith Walk at 0045 GMT on Sunday morning. McCormack has made six appearances in the Hibs side this season, his last being the derby draw with Hearts on 3 January, when he was sent off. 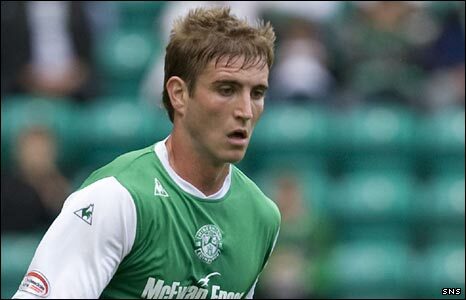 The defender, who has played once for Scotland Under-21s, signed a five-year contract with Hibs in 2007 despite an approach from Celtic and made his first-team debut that September against Kilmarnock. McCormack had to wait until January 2009 for his next appearance.